More great work from RedHotChiliDog, Here is his mission description. Well, I finally finished my first fleet action script. This one is called Counterstrike. You are the commander of a Klingon attack fleet. 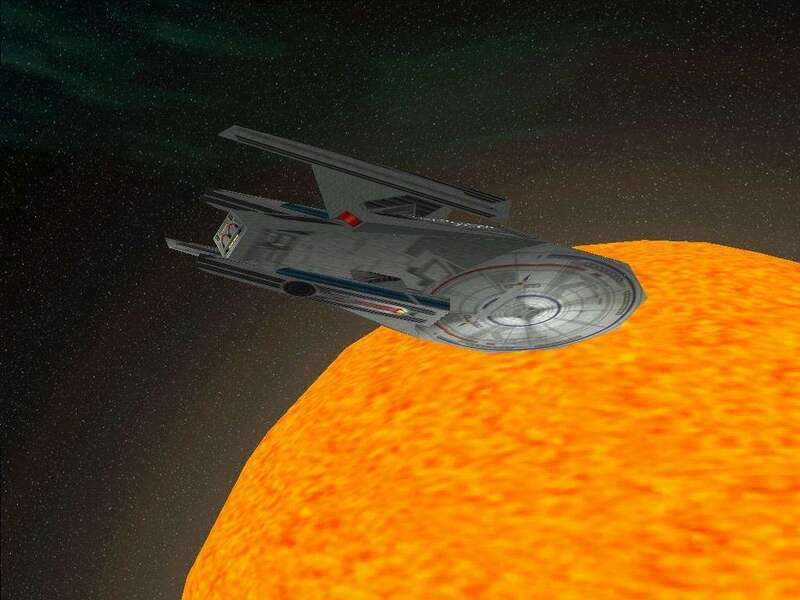 You receive a distress call from the QoNoS starbase. They are under attack by Federation forces. Your mission is to defend the base and destroy all of the attackers. You have your battleship and 8 other ships in your wing to assist you. 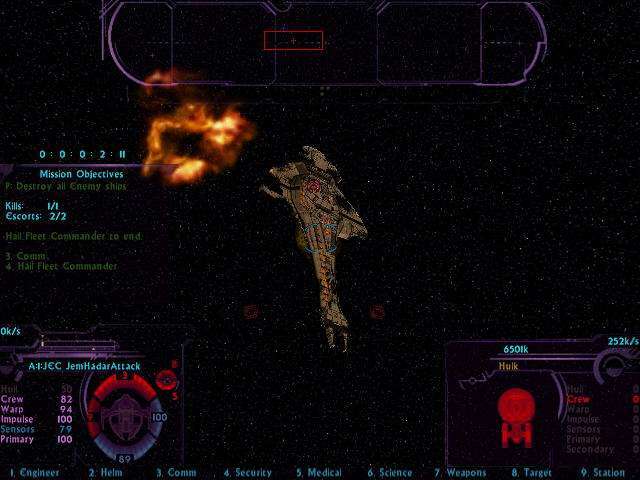 After saving the QoNoS starbase, you get information related to where the enemy has staged the attack from. You are to warp there and clear the system to prevent them from launching another invasion. After the staging area is cleared, you are to goto the so called "scientific base" that is the supply point for these invasions. 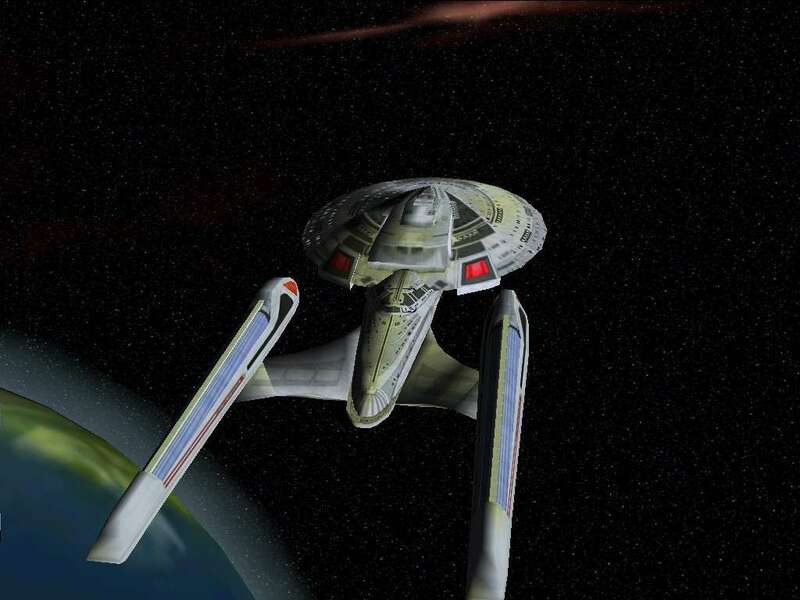 You and your fleet must destroy this starbase to weaken the enemy influence in the sector, and permit us to cripple them with our own invasion. A word of caution. This is a huge script, and may not perform well on some low end systems. 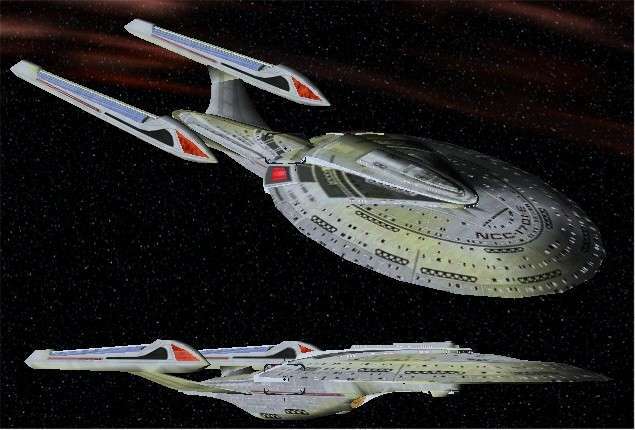 I may try to tone this one down a little, as the battle at the QoNoS starbase involves a total of 27 starships and the starbase itself. Get the mission at his website. 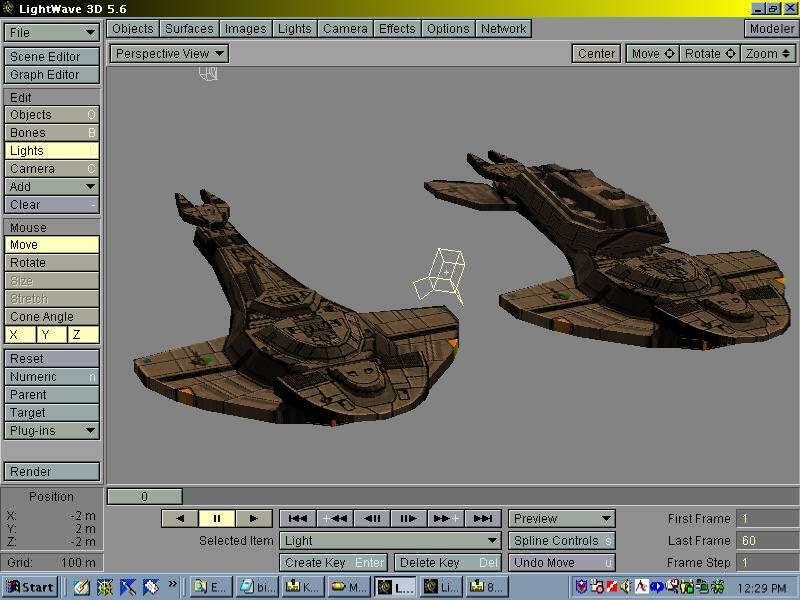 Also today an update from Captain Hayes, His Cardassian ships are nearing completion. A texture update to the Delta Prime Shipyards Sovereign. 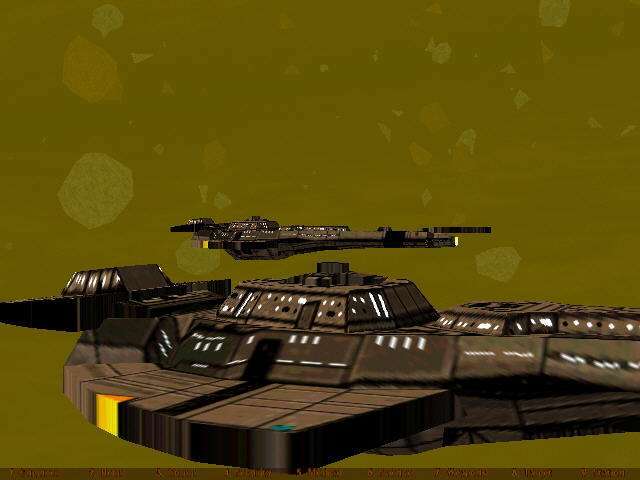 A new ship from Andy, It's called the Obiter Class Medium Cruiser. 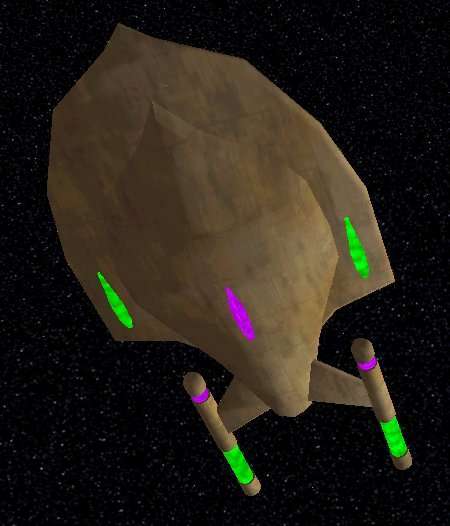 Here's a quick picture of what could be a new Jem'Hadar Cruiser mod by Captain Hayes and a picture of his Cardassian and Jem'Hadar fighter mods. The host problems are now fixed and the forums are now back online. Bloody Cardassians! I just got the damned thing fixed.. When I left here last night all was fine, We had the forums back online and everything was returning to normal. Now it seems there is a problem with the host. Sorry guys. Well after a long wait the forums are back online, I have tried to make them look like they did before to the best of my ability. The only problem is the hacker deleted the user data too so you will all need to sign up again. Just a quick note, If you see anything suspicious on the forums please report it to me or a moderator. My e-mail address is now mail@klingonacademy.com, If you send e-mail too mail@klingonacademy.com I will still get the mail via a redirect but attachments will most likely be lost so please use the new address. 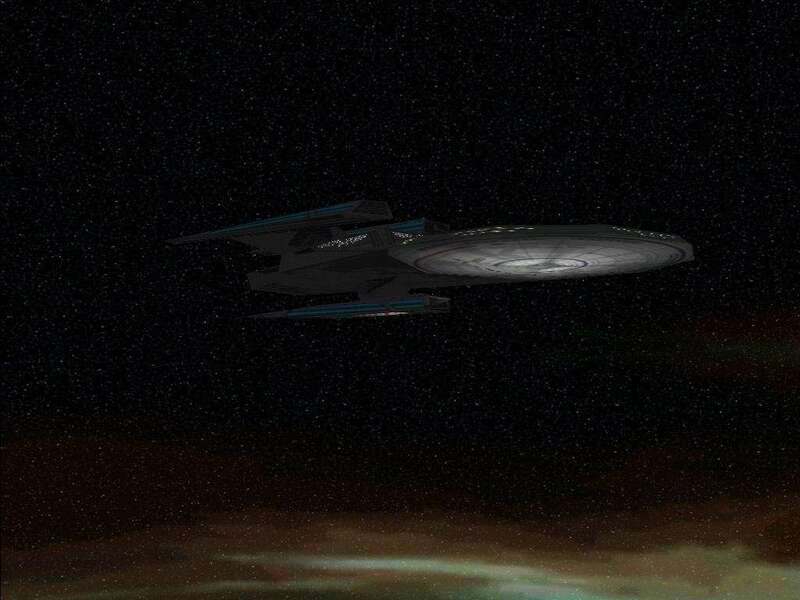 A few Cardassian ships to destroy are on the way from Captain Hayes, Here is a picture he posted. Yet more great work from RedHotChiliDog, The following is an extract from his read me. Well, I finally did it. 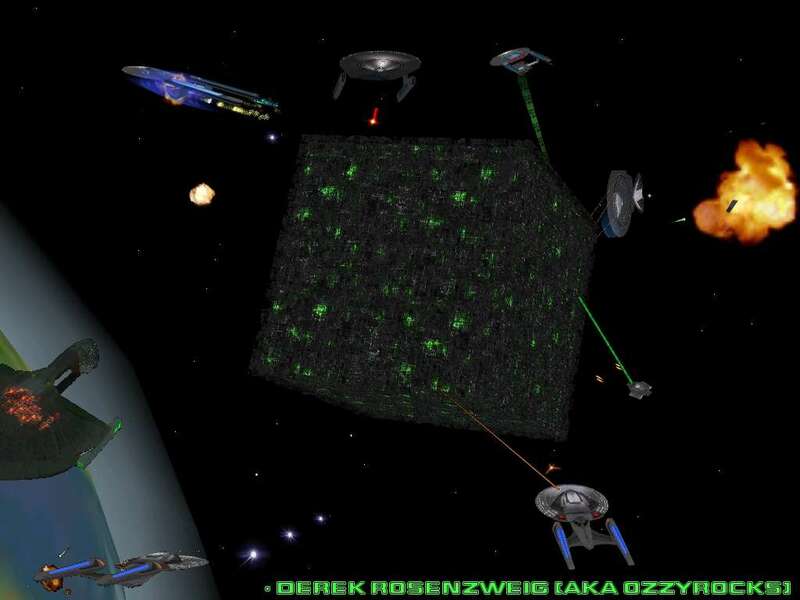 I was able to construct a multiplayer battlefest mission that is much like the Starfleet Command battlefest. You start with a frigate and work your way up to a battleship. When your battleship is destroyed, you are respawned as a cargo work bee for the purpose of keeping the host game alive, and to also let these players roam and watch the others play. To start the mission, just start a normal multiplayer mission, but select the 'battlefest' option from the list of systems available. Get the mission from here. Sector1001 has a Jem Hadar attack ship out which you can get here, Nice work Sector1001. Cobar_X has released New Orleans beta, Details on how to get it can be seen here. Captain Hayes has a Sovereign mod on the way, Looking good Captain. 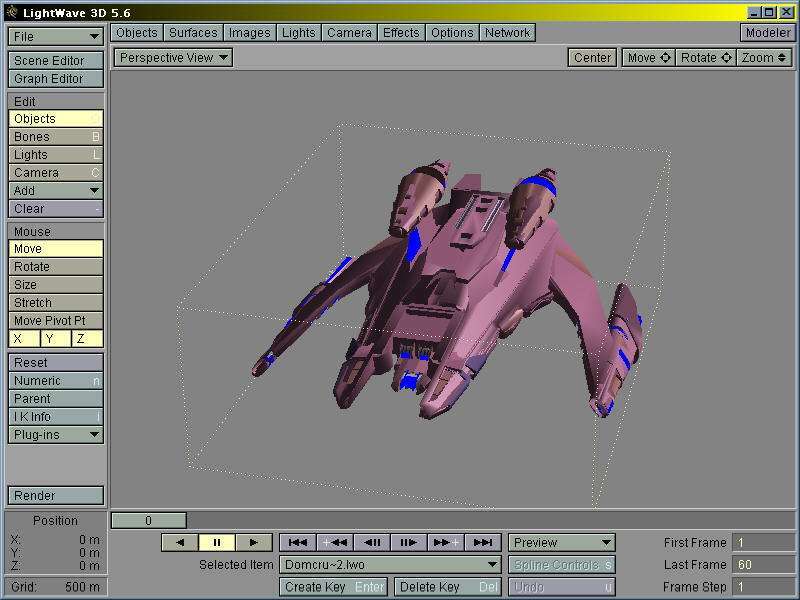 A new ship in the works from Wac too, take a look here. A note about the forums, Our hacker did a fair bit of damage so it's going to take a little longer to get them back up but they will be up soon. While they are down you can use the temporary forums over here. A new KA desktop background by OzzyRocks which you all can get here. 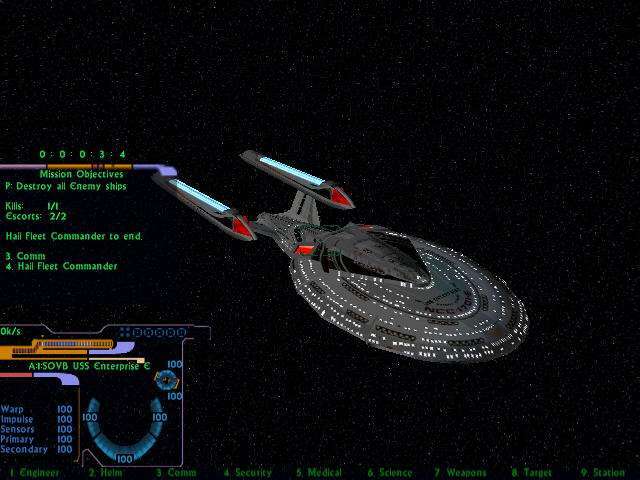 I'm John and I am going to be running KlingonAcademy.com from now on, I'm going to try to get the forums back online as soon as possible and get back to normal operation following the hack. Thanks to Ben, Craig, Kunal and Tom for keeping the site going as long as you have and for building a great community.